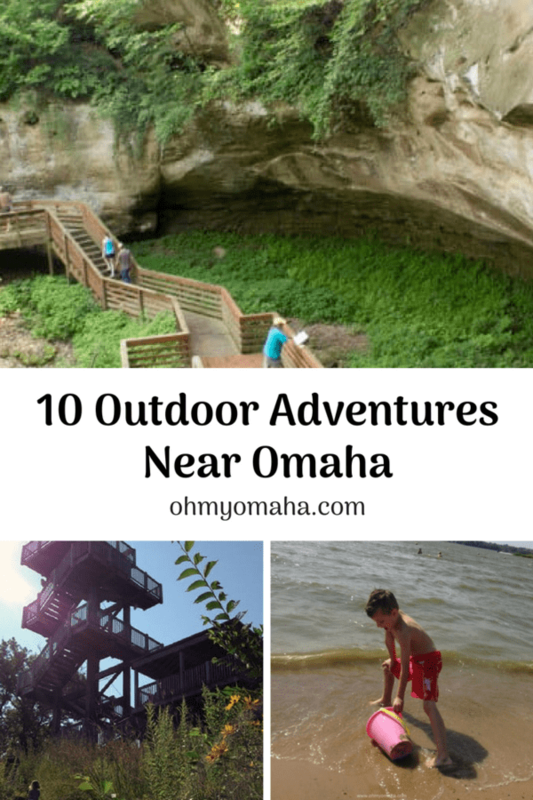 Great outdoor adventures are less than an two hours away from Omaha. Standup paddleboards on the shore of Lake Cunningham in Omaha. 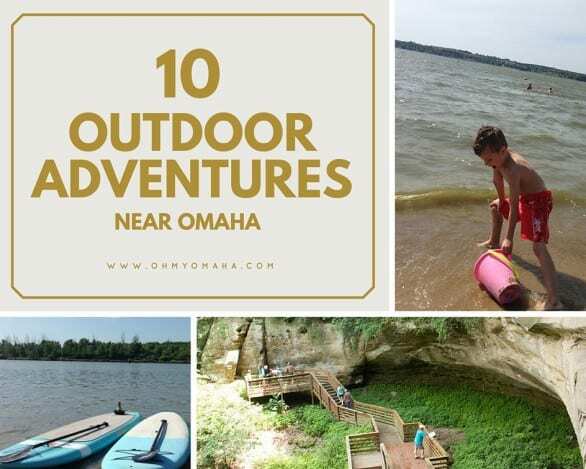 What’s not to miss: Rent standup paddleboards from The Neighborhood Offshore Outfitters and have fun exploring the lake with your older children. Younger kids can stay with an adult and play at the small beach. Note the Cunningham Lake may be closed due to zebra mussels, so check before going. 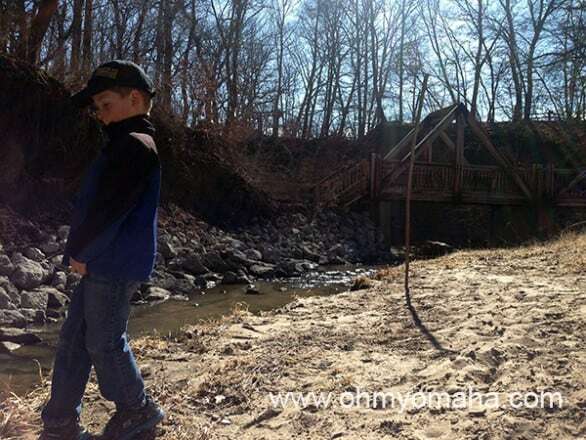 What’s not to miss: If you’re hiking with small kids, make sure you include plenty of time to play at Acorn Acres. Cost: $3 per person enter the beach area, plus extra cash for renting a canoe or kayak. 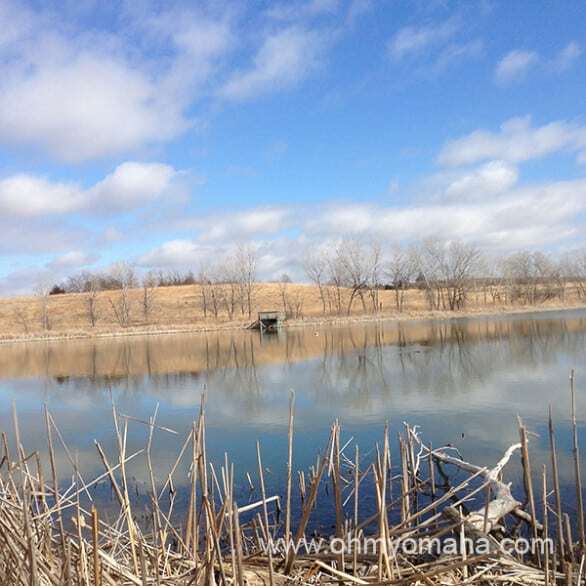 What’s not to miss: This is one of the closest lakes to Omaha that has a swimming area roped off from the rest of the lake, which is busy place in the summer with boats. You can rent a canoe or kayak there, as well. I steer my kids to Dreamland Park, though. It was pretty much designed by engineers who asked kids what they’d love to have in a park and then they built it. It looks like a giant splinter waiting to happen, but the kids survive and love it. What’s not to miss: Check out a free backpack from the nature center. It provides kid-friendly supplies like a magnifying glass and animal ID chart to enhance your kids’ adventure in nature. Side note: If you have older children, plan a stop at nearby Mt. Crescent Ski Area, which has a zipline for the truly adventurous. Cost: A Nebraska State Park Permit is required to enter this park area (an annual permit is $31). What’s not to miss: Find the trail that takes you to the suspension bridge. Kids love crossing it. One of the lakes at Mahoney State Park. It’s pretty even in the dead of winter. 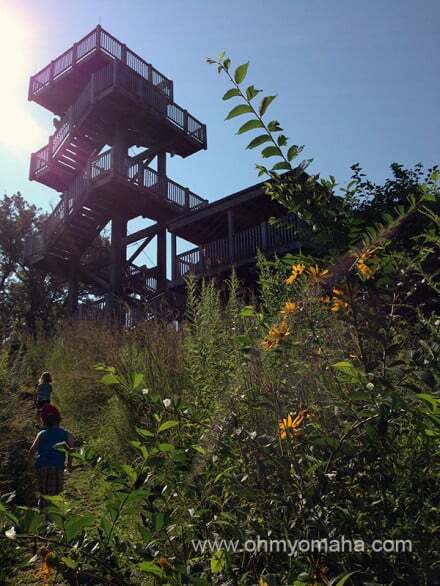 What’s not to miss: Horseback trail rides for 6 and older (pony rides for the youngins); train-loving kiddos will like the short hike near the lookout tower that gives them a decent view of passing trains. 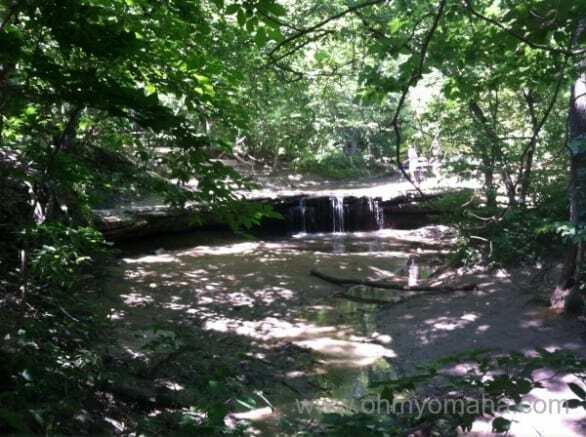 A short hike at Platte River State Park is all it takes to find one of the few natural waterfalls close to Omaha. What’s not to miss: The little waterfall that you can usually walk across and the teepee. 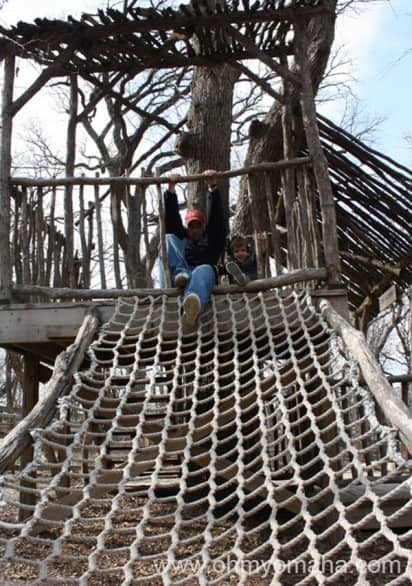 The Great Tree Adventure has a trail with two bridges, some climbing structures and lots of areas to explore. 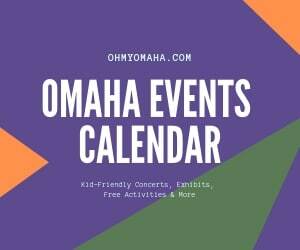 Cost: Adults are $8, kids 3-12 are $6 and kids 2 and younger are FREE. Hayrack ride is extra. 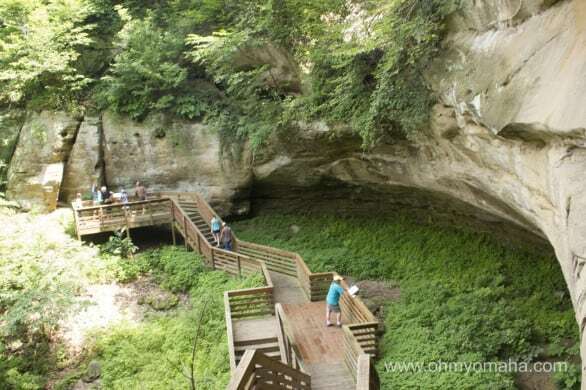 What’s not to miss: Take the hike into the woods and try to find all 50 wooden bird (and one squirrel) cutouts, and enjoy the foot bridges over the creek. 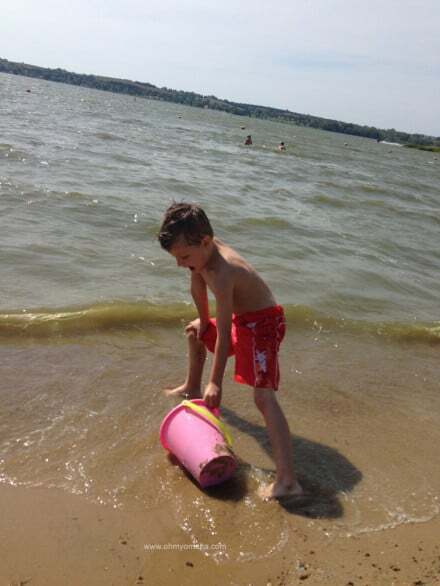 Playing on the beach at Branched Oak Lake. As close as you’ll get to the cave at Indian Cave State Park. What’s not to miss: You thought I was going to say Indian Cave, but that “cave” isn’t what you’re expecting. Hit the trails and the living history cabins for a more memorable experience. 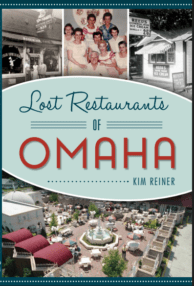 I’d like to check out: Branched Oak State Recreation Area. I’ve never been there before. I’d love to hear about it if you go!